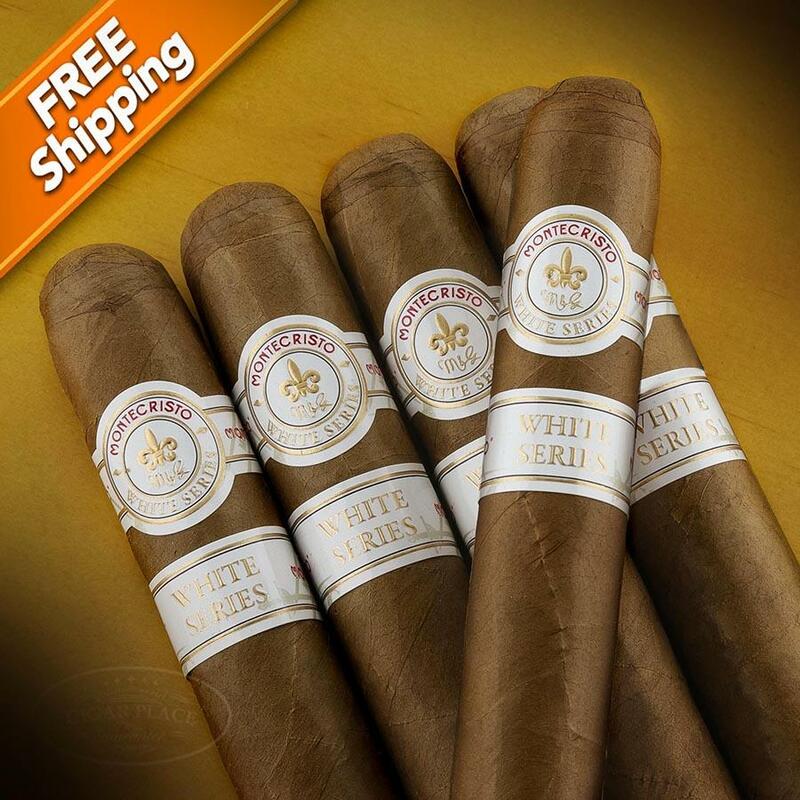 Smokers were searching for a milder version of the classic Montecristo brand, and boy did Altadis deliver with the Montecristo White Rothchilde. To make a mild cigar with this much flavor is a hard task, but Montecristo’s White Label pulls it off. A flavorful blend of Dominican and Nicaraguan tobaccos are bound by a Nicaraguan binder. The beauty of this stick comes from the Ecuadorian Connecticut shade wrapper leaf. Pale, creamy, and perfect are three words which would describe it. A simplistic white band is all this cigar needs since the beauty of the wrapper leaf speaks for itself. The cigar feels slightly soft and it raised concerns about an under fill, but those fears were quickly sent up in smoke, literally. A razor-sharp edge and perfect smooth draw are present from beginning to end. 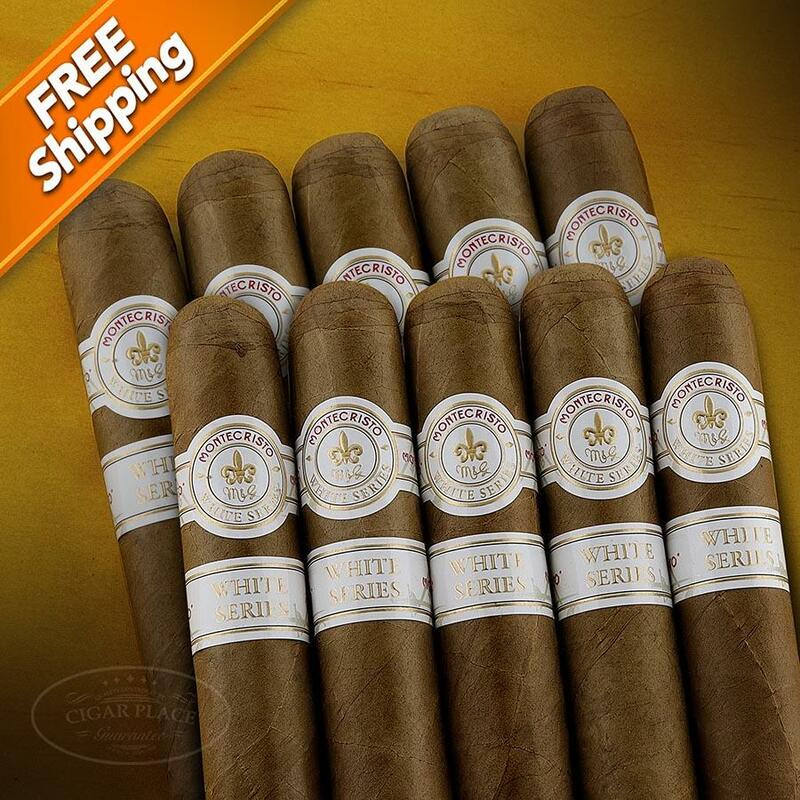 Montecristo White had an extremely tasty note of spice on first light but quickly mellowed into very creamy smoke. Sometimes when a smoker sees a mild cigar it can be at the expense of flavor, but the Montecristo White Rothchilde is a wonderful exception. The creamy plethora of smoke which this stick provides is a perfect companion to a morning cup of coffee. Great to wake you up and get you moving on your day. We've put together this cash saving 10-pack bundle, so stock up now while supplies last!